Well, CNN has few useful business ideas for you. 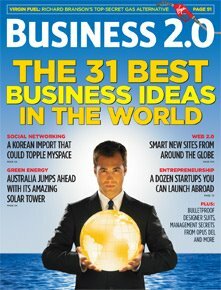 Business 2.0 scoured the globe for the smartest thinkers and startups and have compiled the list. When starting a business, listen to your heart, not your bankers.